On Friday, Apple withdrew a patent claim against a new Samsung phone with a hi-resolution screen. In a filing with the U.S. Federal Court in San Jose, Apple disclosed that it would not continue the patent claim since the device will not be offered in the U.S. The phone in question could be the Samsung Galaxy S III mini. Last month, Apple asked the court to add that model, along with some other Samsung phones and tablets, to its seemingly non-stop patent battle against Korean rival Samsung. The latter responded that since the Samsung Galaxy S III mini will not be offered in the U.S., it should not be part of the litigation. 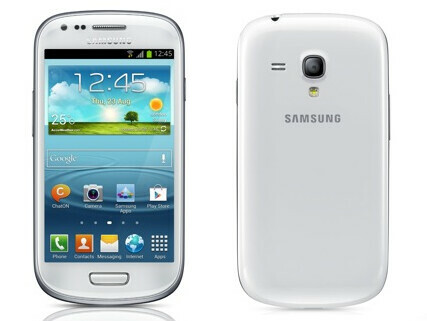 Samsung launched the smaller sized version of the flagship Samsung Galaxy S III on October 5th in Europe. In its filing with the court, Apple noted that although the phone isn't sold in the U.S., it was able to order multiple units of the device from Amazon and have them shipped to the U.S. Despite this, Samsung said that it was not "making, using, selling, offering to sell or importing the Galaxy S III mini in the United States." And on the basis of that statement, Apple withdrew its claim against the phone, "so long as the current withdrawal will not prejudice Apple's ability later to accuse the Galaxy S III mini if the factual circumstances change." Only when companies stop copying. Oh would you shut the f*ck up please? No one wants to hear your drivel. These fruit fans don't understand a bit of technology mate. What they know is just talk non - sense without any reason. Today if you compare an iPhone 5 with Oppo find 5, iPhone 5 falls by the way side. And according to fruit fans other companies are copying them. Hahahaahhaha come on Fruit fans just know how to double tap on their home - screens to close an app and how to use a volume rocker button to take photos.And this is the main reason why they buy fruit gadgets..!! "Hole in the back" hahaahahahahhahahahahhaha made my day bro ...!!! They just made exactly what iPhone users want. Can't cover up an iconic symbol. Shoot... the Apple I bit into last night was an iconic symbol???? At my age, I try to hold some composure and remain somewhat passive in an individual's remarks. But, your over the top, massive cheerleading for Apple by failing to research history pertaining to Apple, only confirms that your use of "Copying" is misdirected and contains insufficient knowledge. Having been around Apple for thirty 30 years, I can safely say that it is Apple that has copied many technologies in order to get where it is today. Quit trying to paint Apple as the perfect child. When I look at a Samsung device vs an Apple device, I don't see any resemblance. If people can't tell the difference of the two(especially when the two plaster their logos and names on them), then there's more of an intellectual issue rather than design issue. There are so many tech discoveries in which Apple "Stole" only to claim as its own. To think Apple is the almighty in innovation, severely down plays any intelligence you might possess. 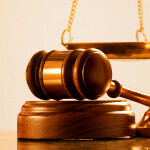 And while we're at it, what's up with Apple implementing "copying" within court system? Is it infringement or copying? Copy sounds like playground gibberish. Just how Apple is conducting this little facade. "Mommy, Joey is copying me!" It would be wise to to learn a little before repeating everything you hear on tech blogs. I have found tech blogs can be written by people that never knew anything about Apple before the iPhone. Since I owned Apple products for 9 years when Apple wasn't "Cool", I think I know a thing or two. That's why our generation either left Apple for Windows, or didn't give Apple any attention at all. There's more to a company than pretty, shiny objects. John B.
Slammer, I wish I could give your comment a +1000!! Please explain to us all how the GSIII mini is a copy of any of the iPhones...??? Y are u an izombie if u like or use apple. I use apple,and android. I'm a huge Samsung fan, my tv and fridge and my fiancés tablet r Sammy. I also like apple, and iOS. I think that he called him "iZombie" not because of that he use Apple products. And then rips on Android fans who post negative comments on Apple articles. Hypocrite, 100%. "...and yes I do think the gs4 leak is ugly. Nowhere near as pretty as the gs3 or note 2" Where do you see Samsung Galaxy S IV leak ??? Bro go back to the home page of this site and scroll down a little. And what exactly should I see, what article titles?